DENSO Products and Services Americas, Inc., an affiliate of leading global automotive supplier DENSO Corp., will serve as the primary sponsor for Pro Stock Motorcycle racer Angie Smith in the 2018 NHRA Mello Yello Drag Racing Series. DENSO also will serve as an associate sponsor of racer Matt Smith, Angie’s teammate and husband. Only one of a handful of women to ever compete in the class, Angie Smith will continue to ride her Matt Smith Racing Buell V-Twin powered by DENSO Iridium spark plugs. “I’ve had a lot of success on this bike and I’m excited to have the support of DENSO to take it to the Winner’s Circle this season,” Angie Smith said. DENSO’s 2018 endorsement builds on its support for Matt Smith Racing, which started in 2017 when DENSO was Angie Smith’s lead sponsor for five weekend races. Riding on DENSO spark plugs, Angie and Matt Smith were both among the top 10 competitors in last year’s NHRA Countdown finals. As part of their ongoing partnership, Angie Smith will continue to support DENSO by making personal appearances at customer events, trade shows and associate gatherings. 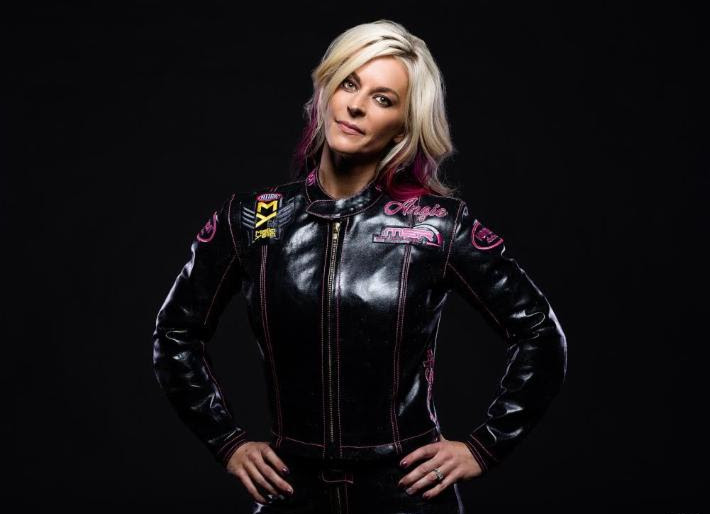 Born and raised in Kernersville, N.C., Angie Smith started racing competitively in the Outlaw Pro Street class where she was known by her maiden name, Angie McBride. In 2004, she captured the Outlaw Pro Street championship. During those years, a fierce rivalry ensued with Matt Smith. A top-ranked Pro Stock Motorcycle racer with 18 career wins to date under his belt, he invited her to join Matt Smith Racing in 2008. 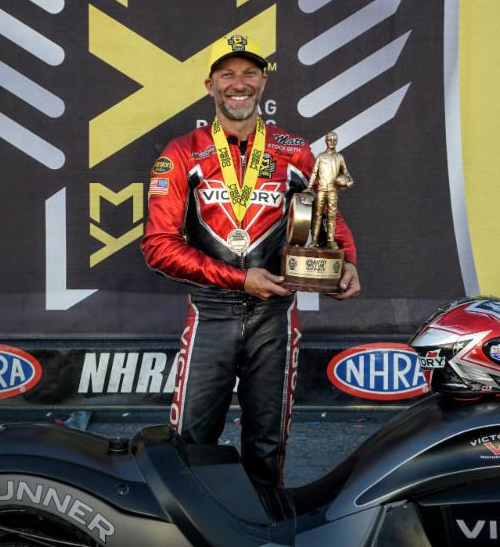 The couple married in 2009 and are the only husband-and-wife teammates in the NHRA. The 2018 Mello Yello series kicks off Feb. 8-11 at the Auto Club Raceway in Pomona, Calif. In addition to backing Angie and Matt, DENSO returns for the third consecutive year as the title sponsor of the DENSO Spark Plugs NHRA Four-Wide Nationals, April 6-8, in Las Vegas. DENSO also remains a supporting sponsor of all 24 races in the series that crisscrosses the nation through November. DENSO also returns to Nitro Alley, the midway where fans can learn more about and purchase DENSO’s full line of spark plugs. Likewise, DENSO’s tradition of posting race and product updates on Facebook, Twitter, Instagram and YouTube continues throughout the 2018 series. For nearly half a century, DENSO has sponsored world-class motor sports, including NHRA, NASCAR, Formula One, World Rally Championship and Super GT races. In addition to spark plugs, alternators, radiators and engine management systems are among DENSO’s precision original equipment and replacement auto parts that professional drivers and pit crews count on for the best performance under the most demanding conditions and motorists rely on every day. More information on DENSO spark plugs, as well as DENSO’s comprehensive lines of auto parts, is available at retail stores, wholesale distributors and www.densoautoparts.com. DENSO Products and Services Americas, Inc. is an automotive components sales, remanufacturing and distribution company that employs 550 people in Long Beach, San Jose and Murrieta, Calif. and Plano, Tex. The company’s product line includes heavy-duty and automotive alternators, starters, oil, cabin and air filters, spark plugs, AC compressors, oxygen sensors, ignition wires, fuel pumps, fuel injectors and wiper blades. DENSO Products and Services Americas supplies parts for original equipment service dealers, independent aftermarket service centers and retailers. In addition, the company distributes heavy-duty diesel and electrical components, portable commercial air-conditioning units and industrial robots. For more information, go to www.densoautoparts.com. or visit our media website at http://www.globaldenso.com/en/newsreleases/media-center/. In North America, DENSO employs more than 22,000 people at 30 consolidated companies and affiliates. Of these, 25 are manufacturing facilities located in the United States, Canada and Mexico. In the United States alone, DENSO employs more than 14,000 people in California, Michigan, North Carolina, South Carolina, Tennessee, Kentucky, Georgia, Iowa, Ohio, Pennsylvania, Texas and Arkansas. DENSO’s North American consolidated sales totaled US$9.6 billion for the fiscal year ending March 31, 2017. For more information, go to www.densocorp-na.com.